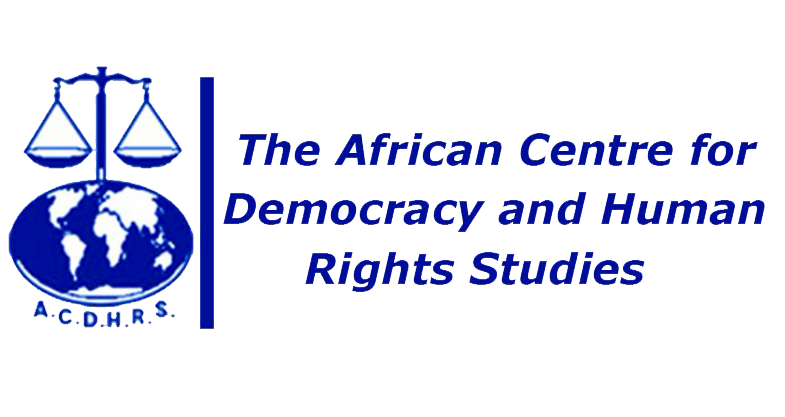 The International Center for Not-for-Profit Law (ICNL) along with their partners African Centre for Democracy and Human Rights Studies (ACDHRS) is pleased to announce theAfrican Civil Society Support Initiative Regional Fellowship Programme.The Programme will allow civil society leaders and freedom of association advocates to spend three to four weeks working with a host NGO in another country in the region. Fellows will have the opportunity to share knowledge and experience with NGO leaders in other countries, build practical skills needed to advance civil society law initiatives, gain regional exposure, and build regional coalitions for reform. We will be awarding three regional fellowships to qualified civil society leaders and human rights advocates. Both fellow and host organization must be from Sub-Saharan Africa with countries with restrictive legal environments given priority. This is an action-oriented fellowship designed to provide opportunities to engage with other practitioners and experts in the region to advance the legal environment for civil society throughout the region. At the end of the fellowship, fellows will be required to submit a final report highlighting their learning outcomes and detailing how their new experiences will impact ongoing law reform in their home countries. ICNL will cover the cost of travel to and from the host city as well as room and board for the agreed-upon time period. Applicants must submit a completed application, proposal, and a CV by 30th September 2013. All fellowships will take place between the period of 11th November – 9th December 2013 (flexibility of the exact dates during this month available). Organizations in Sub Saharan Africa are also invited to contact ICNL or ACDHRS if they are interested in hosting a fellow. Proposals must focus on the legal environment for civil society (for example, the rules governing the establishment, operation, funding or sustainability of NGOs, NGO-government relations, freedom of association, freedom of assembly, etc.). We are particularly interested in fellowship activities that will support an ongoing reform initiative in the fellow’s home country. •Have an attached CV (3 pages max) with personal information included (applicant’s name, mailing address, email address and phone number) and description of language capabilities. •Display knowledge of the legal framework governing civil society. •Commitment to continue working on civil society legal issues for a minimum of 12 months upon the applicant’s return home, and ability to effect change based upon leadership potential. •Applications that identify a preferred host organisation and demonstrate some familiarity or prior contact between the fellow the potential host organisation will be looked upon favourably.